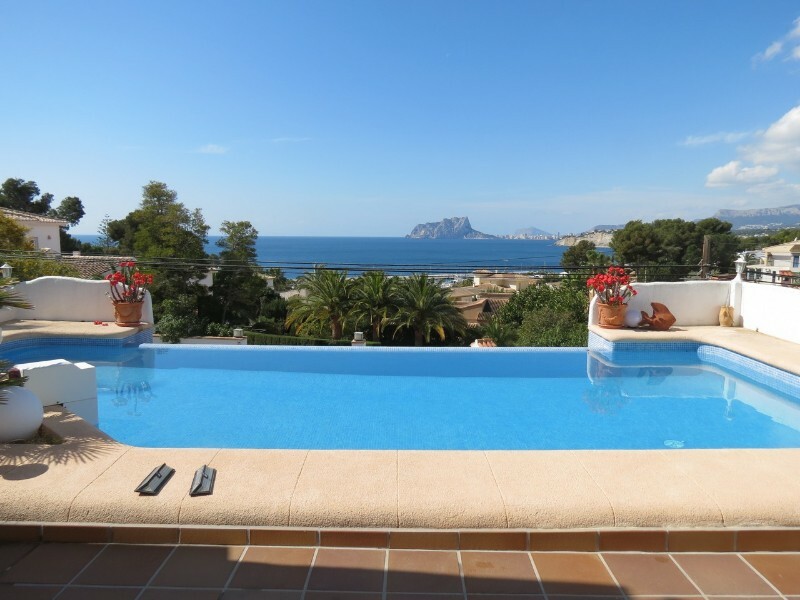 This beautiful villa in Moraira, el Portet is built in an Arabic/ Marrocan style with detailed decoration which makes it a delight to discover every corner. Built on 2 levels plus an additional basement, the villa is accessed from the main floor where you find the hall leading to the living room, separate kitchen with direct access to a large interior Patio, 3 bedrooms and 2 bathrooms plus a guest toilet and a games room for the little ones of the house. 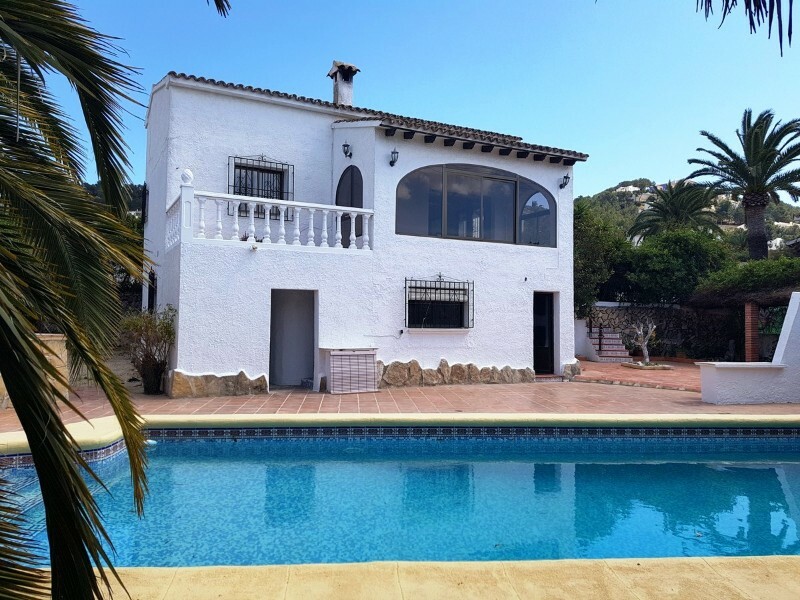 On the upper floor, you find the main bedroom with en-suite bathroom with Jacuzzi and shower, this room offers direct access to a roof terrace overlooking the Garden Pool and down to el Portet Beach, and 2 double bedrooms with a complete bathroom plus a small rear terrace with views. The basement is accessed either via the interior stairs or through the garage. Both guide you to a small living room with access to a cellar, pantry, another double bedroom and a complete bathroom. The nicely maintained garden offers a BBQ, an infinity swimming pool and various porches leading off the living room. This property will give you the real feeling of a Luxury home and is worth an early visit.